These rubber insulators have several uses on IH trucks. Each kit comes with two rubber insulators with steel cores, and a pair of new steel locating sleeves. 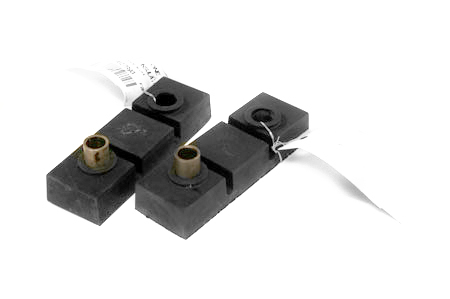 Both insulators are required, and are sold only as a pair.